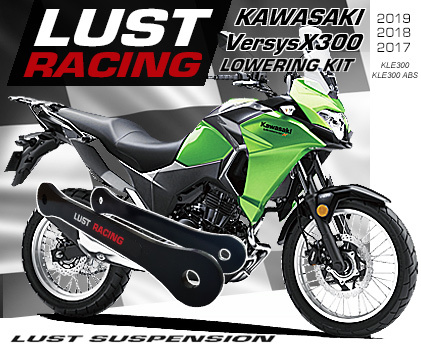 Lowering kit for Kawasaki Ninja ZX6R 636 2013 to 2018. High quality lowering kit dropping the rear suspension. Lowers the seat height and the center of gravity. Installation instruction included. Perfect fit and finish! Kawasaki Ninja ZX6R 636 2013 to 2018 lowering links. Lowering kit for the new Kawasaki Ninja ZX6R. Lower the suspension and the ride height on your new Ninja. Improved high speed stability. Reduced center of gravity means easier handling and balancing also at lower speeds. Excellent for short riders and great for everyone who likes the lowered urban look. Drag racers drop the suspension for improved rear wheel traction and faster launch of the line. 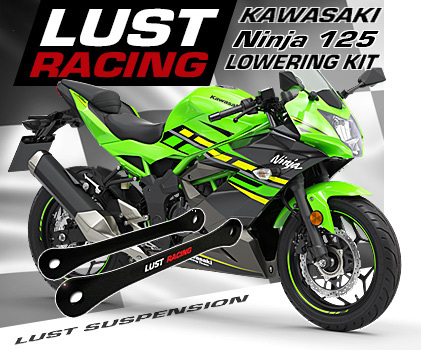 The lowering links for the Kawasaki Ninja ZX6-R 636 ninja in this kit are made of roll forged steel, stronger than the standard tie-rods. Did you know that the suspension connecting rods are perhaps the most stressed parts on your bike, demand a high quality lowering kit if you want to lower your bike. 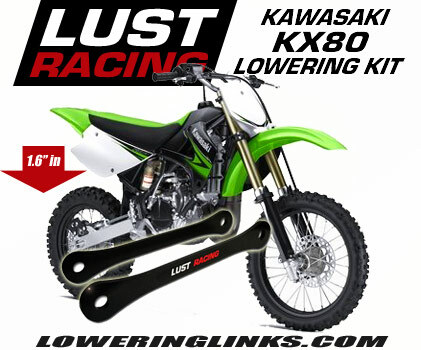 Lust Racing is Europe’s leading manufacturer of high quality motorcycle lowering kits and these links are truly made to last the lifetime of your bike! Perfect fit and excellent finish.